Why Are My Leaves Pointing Up? Are your leaves all tipped up, "praying" to the sun gods? I used this think this was the sign of a healthy, fast-growing marijuana plant, but it's actually a sign of stress! 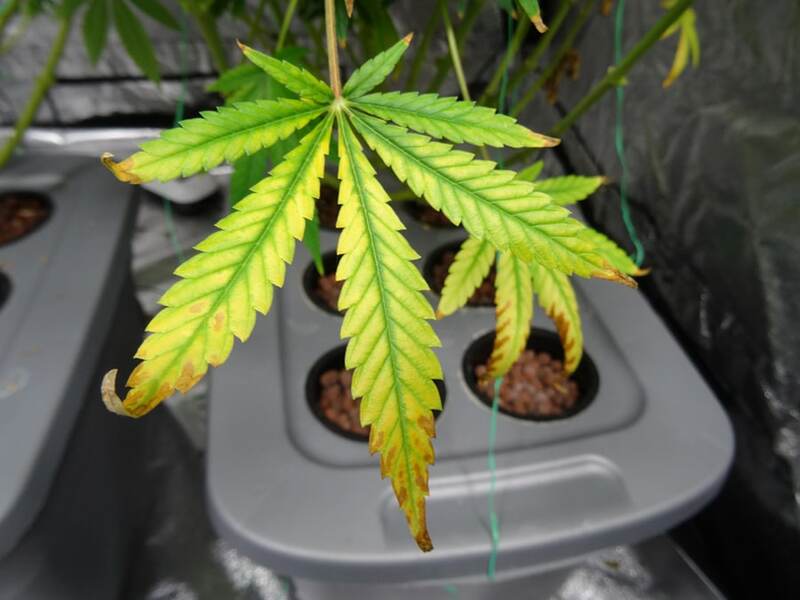 Pointed up leaves are sometimes the first sign your cannabis plant is getting too much light. You also might see it in high heat or very low humidity levels. As long as leaves are staying green, it hasn't progressed too badly yet, but if they do this for a long time, the leaves may eventually get "overworked" and start turning yellow earlier than you'd like. Once the leaves have progressed from green to yellow, it's officially light burn now. You don't want your leaves to die early if you can help it! 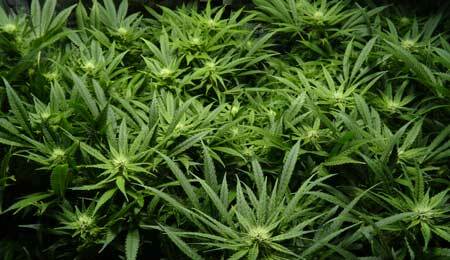 Many growers try to "ride that line" and give plants as much light as absolutely possible without light-burning the plants. This can be a way to help improve yields in some cases. However, just be aware when your plant starts telling you that "enough is enough"! A sick plant doesn't produce well. I also just wanted to add that sometimes you'll have just one plant in the bunch that has this reaction. This is because some plants are simply more sensitive to light and other environmental conditions than others. What causes one plant to thrive might cause a different plant to turn yellow! So it's important to check on plants daily and react quickly to any problems!